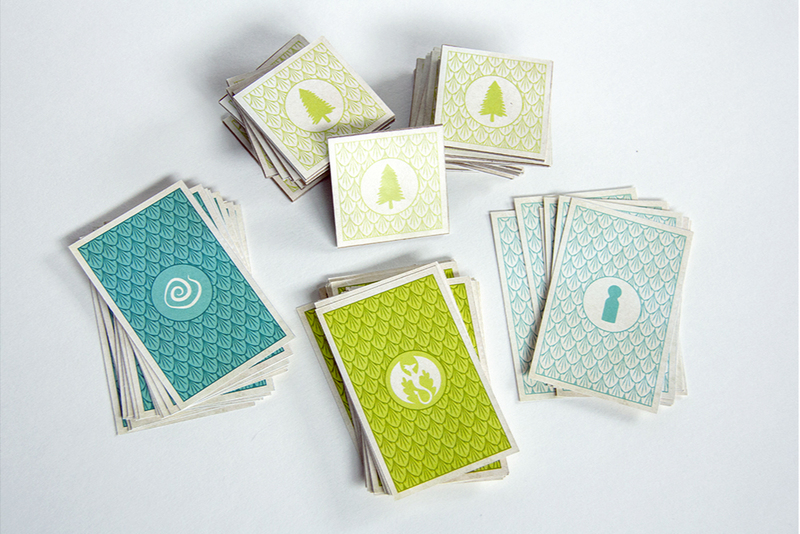 This was a collaborative project with three other designers to create and design a tabletop game. The project spanned two weeks from game concept to completed execution. The outcome was a medieval fantasy themed collaborative strategy game called Dragon Fire. 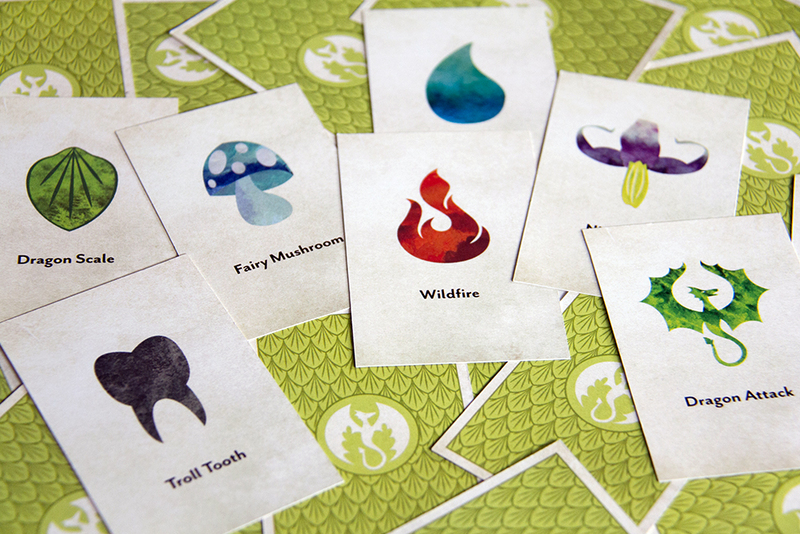 The objective of Dragon Fire is to work collaboratively to defeat a dragon that is setting fire to the magical forest in which the game players live. 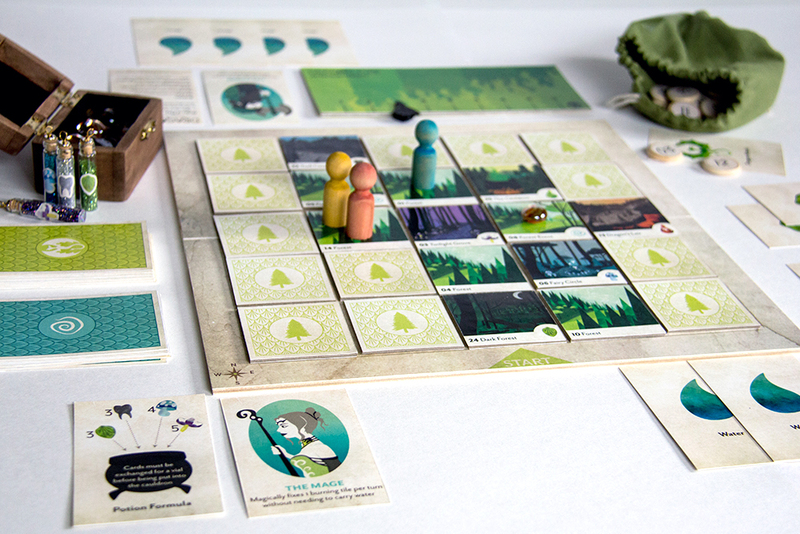 Each player is assigned a role and must work together to locate potion ingredients for a spell that will turn the dragon into stone, exploring the game board as they go. As locations are revealed, events occur that can aid or hinder the player in their quest to defeat the dragon. As the leader of the project, I guided, organized, and delegated various stages of the project throughout the design and production process. As a designer, I was primarily responsible for creating the character role cards, the potion ingredient cards, the backs of all of the cards and tiles, the layout and construction of the interior of the packaging, the construction of the Dragon Attack tracker, and painting of the player pawns.